LAN search pro is free small utility using which you can search for data in files and folders over the network resources that are connected to your computer. You can search for files based on file name and file type. For example you want to search for Microsoft word file in the network drives then you can put *.doc as the search criteria and LAN search pro will list all the available word documents. You can also use the wild card search like *. * as search criteria. LAN search pro displays the results quickly this is the significant advantage that it offers the standard windows search functionality. 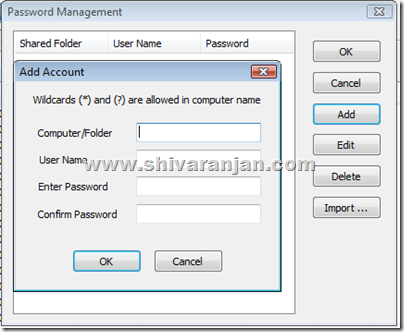 LAN search pro offers built in password manager that stores the authentication information for the password protected network folders. LAN search pro can search hidden network resources, restricted access resources, IP subnets and LAN FTP servers. When you carry out the search the results can be filtered based on the date of the file and file details like date, time, size and attributes are displayed. The search results can be sorted, filtered and exported. The search options like searching of specific computers, searching of entire network and computers with specific IP addresses is present. You can also exclude search results from certain computers. This can be pretty useful in getting accurate and quick search results. 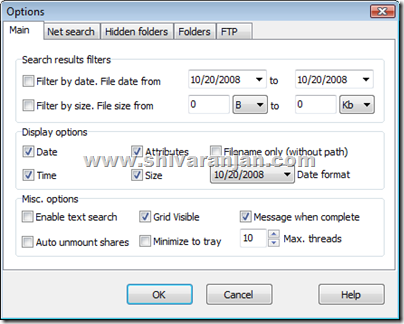 As mentioned earlier LAN Search Pro can search for files in hidden folders and there is an option also available using which you can exclude or include search results from hidden folders. Using this utility you can perform file operations on the found items – copy, move, rename, cut and delete. This is pretty useful tool if you have access to large network resources. This utility can be run without installation and hence it makes sense to carry this around in a portable USB drive. We tested this in Windows XP and Vista and found this working flawlessly.